Queensferry MP Michelle Thomson stood down from the SNP’s front bench amid a criminal investigation into some of her business dealings. 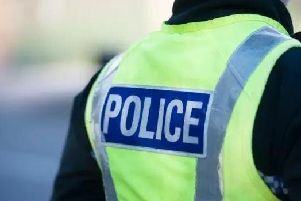 Police Scotland is carrying out an investigation into alleged irregularities relating to property deals linked to the MP, who was the SNP’s business, innovation and skills spokeswoman. In a statement, Ms Thomson said she was aware of the police investigation and would “co-operate fully” if asked to do so. “I have always acted within the law and look forward to being cleared of any wrong doing,” she said. The investigation ordered by the Crown Office relates to property deals in 2010 and 2011 in which Ms Thomson used the services of solicitor Christopher Hales, who was struck off by the Scottish Solicitors’ Disciplinary Tribunal for misconduct last year. Mr Hales was found guilty of professional misconduct in carrying out 13 property deals on behalf of Ms Thomson and her business partner. Official documents submitted to the tribunal hearing in May 2014 set out Ms Thomson’s involvement in the mortgage deals. Last night the Crown Office confirmed that, after a complaint from the tribunal, it had asked Police Scotland to carry out an investigation into allegations of irregularities. Ms Thomson was elected as SNP MP for Edinburgh West in May after a high-profile role during the independence referendum campaign as managing director of the pro-independence group, Business for Scotland. She worked in financial services for 23 years before setting up her own property business in 2009.